Is it safe to enter my credit card online? Yes. 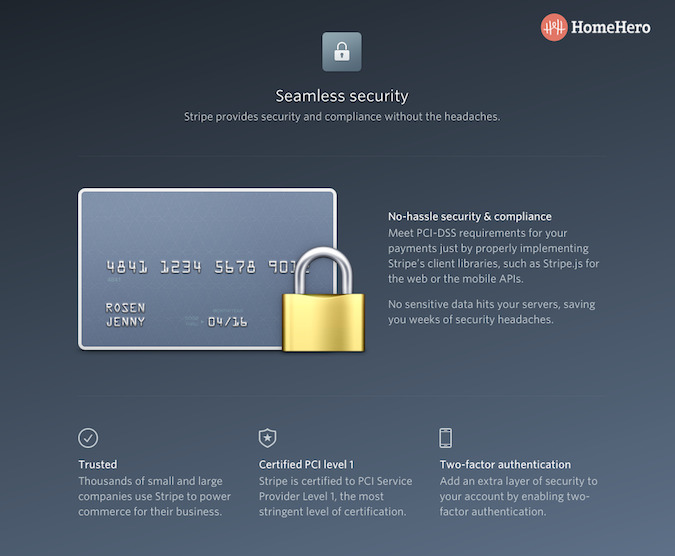 HomeHero features several layers of military-level encryption and authentication to process transactions securely. We pass information only through “https” connections protected by AES-256, a widely-used form of electronic data encryption. Our infrastructure for storing, decrypting, and transmitting card numbers runs in a separate datacenter, and doesn’t share any credentials with our primary app or services. None of HomeHero’s internal servers or employees have access to your card numbers; instead, they can only request payment from your bank’s payment processing company. We also rely on a robust tokenization service to safely store your credit card details on a reliable third-party site. Tokenization is a neat way of saying “data substitution”. It is the act of using a substitute value, or token, which has no inherent value, in the place of data that does have value. Simply put, your personal information is never stored on your local computer or mobile device or anywhere on HomeHero’s website. If your computer or mobile device were to be lost or stolen, or our website were to be hacked, only your tokens would be compromised, not your actual card data.